Go Johnny Go- Documenting "The Giant Lull", one cassette at a time. A gargantuan task, although the list of 7-inch singles and EPs went much smoother than I thought it would. Not including 12-inch singles here. AGAIN- a work in constant progress. PLEASE contact us with additions and suggestions. looks like a Metal and Hip-Hop list is in order…. coming someday …. how about a list if Minnesota ROCK CDs 1988-2016? 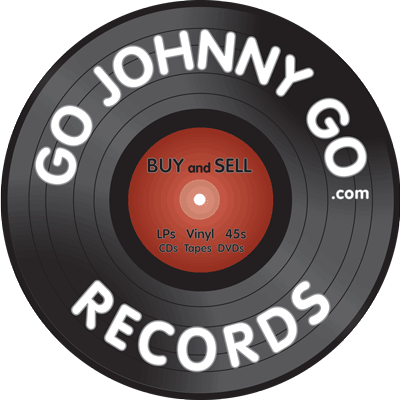 GJG is certainly the best place to buy a ton of records. We have 470,000 of them, and have been selling 'em for 29 years. GJG is also a blog: I like lo-fi analog sound (cassettes and vinyl, please) and lo-rez/highly-pixelated/blurry photographs of (mainly) Minnesota music and its related ephemera. A word about the audio clips posted on this blog: ABSOLUTELY NO sound editing is used. No level boosting, no de-clicking, no 'cleaning up', no sweetening, no mastering. You can do that yourself if you like- we're trying to give you the actual sound from the item provided- warts and all. TURN IT UP if you want to! St Paul Newspaper THE PIONEER PRESS : Johnny on the front page! WCCO, the local CBS-TV affiliate- Johnny in 1983!